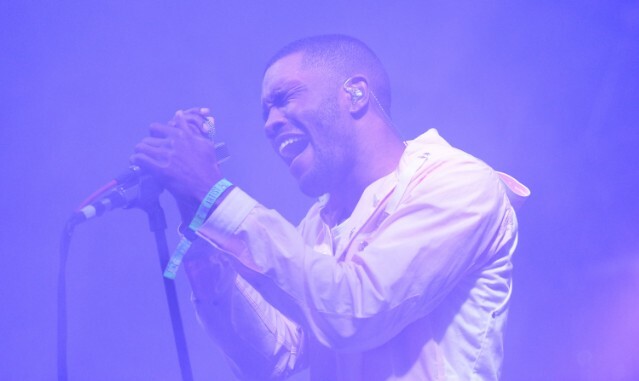 Last August, Frank Ocean’s audiovisual project and comeback release Endless was teased in a notorious “live stream” featuring Ocean building wooden boxes. The ultimate visual album, streamed via Apple Music, presaged the release of what most viewed as the main event, blonde. Endless’ dissemination was very much tied to its context as an Internet-based phenomenon: a cryptic viral event before anyone knew it was an album. For some, no doubt, the hype around it may still be as memorable as the art itself. Today, however, Ocean seems to be pushing for fans to give Endless another try, or appreciate it anew. The singer and songwriter is selling vinyl LPs featuring the music from the album, as well as a DVD and (appropriate for the eerie, surveillance-footage-like style of the visuals, perhaps) VHS of the accompanying film, on his website. As Pitchfork reports, fans can only place orders up until midnight EST today, making this a Frank Ocean Cyber Monday special. You can also grab a double-sided Endless poster. Previously, Ocean sold a special Worldnet hoodie for 24 hours on Black Friday. Last week, Tiffany Trump tweeted a probably-fake Frank Ocean quote.